Founded in 1965, the band originally consisted of students Syd Barrett, Nick Mason, Roger Waters, and Richard Wright. They first gained popularity performing in London's underground music scene during the late 1960s, and under Barrett's creative leadership they released two charting singles and a successful debut album. 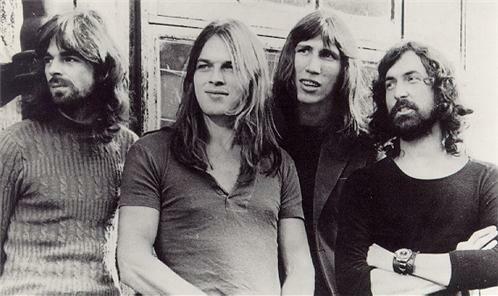 David Gilmour joined as a fifth member in December 1967, and Barrett left the band in April 1968 due to his deteriorating mental health. After Barrett's departure, Waters became the band's primary lyricist and by the mid-1970s, their dominant songwriter, devising the original concepts behind their critically and commercially acclaimed albums The Dark Side of the Moon (1973), Wish You Were Here (1975), Animals (1977), The Wall (1979) and The Final Cut (1983). After nearly two decades of acrimony, they reunited in 2005 for a performance at the global awareness event Live 8. Barrett died in 2006 and Wright in 2008. In 2011, Gilmour and Mason joined Waters at one of his The Wall Tour shows at The O2 Arena in London.